Merry Christmas from HBTW! | House by the water. OK, so it’s not exactly the Mandurah canals, but I can dream. Source: Habitually Chic. I’m getting in the holiday spirit and will (metaphorically) put my feet up for a week or two! In case you miss me and need a little online reading, I thought I’d share my favourite home building blogs with you. 1. We’re Building a House. You’ll have to be quick to join the many fans of this blog because the lucky owners of this NZ home have just moved in. But there are still a few bits and pieces to finish up. Jon and Gemma’s unique and beautiful home has been built on a very tricky site. The result is great and Jon has been keeping a diary. Jon is a talented wordsmith with a sense of humour, so not only do you get the nitty gritty of home building, but you often get a good ol’ belly laugh too. My favourite recent post includes a discussion about whether or not to let house guests wear their shoes on a gorgeous, new wooden floor. Personally, I voted “no”! This blog has everything from new and old house tours and DIY home reno projects, to reviews/introductions of homeware stores and other fun bits and pieces (like weddings). The best bit is that it’s all based in Western Australia and that’s kind of ground-breaking! It was a very tough decision to pick my favourite recent post – any of the house tours are contenders, but I really love this tour of an Old Stone Farmhouse in rural Western Australia. 3. Our Self Build Story. With permission from: Our Self Build Story. Check out the view from this house-to-be in the Isle of Skye, Scotland. Whoah! The stunning view comes with some geographical and meteorological challenges. To keep warm in the future, the owners have installed a ground source heat pump. 4. Home in the Making. This “contemporary farmhouse” is being built in Johannesburg. I find it amusing to see how construction differs in South Africa. The author, “Africadayz”, is sometimes disconcerted by the chaos of so many people on the building site. In Australia, we’d be celebrating that. It’s good to know that supplying tradesmen with “morning tea” of Coca- Cola and biscuits is a worldwide practice. With permission from Happy Laughs. Happy Laughs is building a barn in Texas. When I saw her photo of recycled farmhouse beams arriving at her property, I knew it was going to be a special project. Happy Laughs’ home is currently being framed, and, can you believe it, her tradies recently had a few days off due to snow. In Texas! Happy Laughs has 4 kids and from the pictures she’s selected to inspire her home, I know she is building a warm and lively home. Wishing all my readers a very, happy Christmas! Thanks for all your tips and comments. See you in January when I will be very excited about my trip to Australia for the “pre start” meeting with our builders. :). Merry Christmas enjoy your break! Look forward to hearing about pre-start. Here’s to an exciting new year! Merry Xmas! I wonder where you’re spending it? I can’t wait to have the time to check out all the blogs you’ve listed. I think I’m also a bit of a ‘House Nerd’… I’m also taking a Xmas break. My son is getting married in Cape Town just after Xmas so there is a migration to the Cape from various continents. See you next year! Jo, Merry Christmas (and thanks). Looking forward to catch up on all the blogs I follow (including yours) – its all very ‘blink and you’ll miss it’! 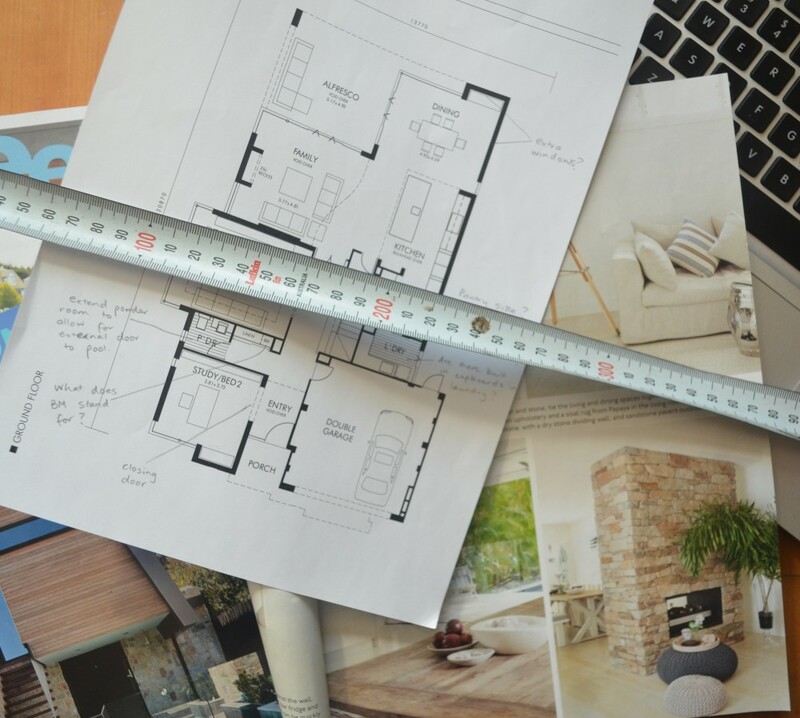 Can’t wait to post some proposed interiors – as you;re going through it I’m sure you’ll have plenty of good advice! Merry Christmas, enjoy your break! 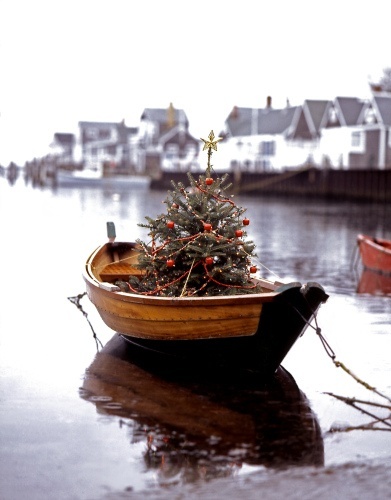 The photo of the tree in the boat is so beautiful.